Bitcoin is first generation cryptocurrency, while Ethereum second-generation cryptocurrency. 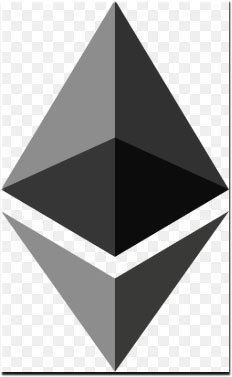 Ethereum is the second number popular cryptocurrency in the world. Nowadays the price of ETH has a huge struggle, In starting if this year price boom up to 1350$ to reach its all-time high. since touching its ATH from last 10-month ethereum falls and currently trade around 210$ It has nearly down 90% from its all-time high of more than US$1,400 in January, hitting as low as $150 in September. We have collected a wide range of ETH price predictions made by leading cryptocurrency analyst, developers, enthusiasts in crypto markets. Ethereum in along-term if the demand goes in that way it is not hard to hit those imagined numbers that we expected. Since the last three month, Ethereum showed a decline, because of multiple reasons, one of which the ICO sell-off, resulting in a falling price. In the first second week of October, Ethereum price was quite stable at 200$ as compared to previous weeks. Ethereums tough competitor is TRON, as TRON has launched TVM and dApps on Tron on more than 200 times faster than Ethereum dApps, according to Justin Sun which is CEO of Tron. Let’s take advice from some publications and personalities, and their statement regarding the Ethereum (ETH) price prediction, 2018 which will give us an idea about the ethereum future. Alexis Ohanian, Co-Founder of Reddit: $1,500 at end of 2018. Bobby Ullery, CTO of Waysay: $11,375 at end of 2020. Roger Ver, CEO of Bitcoin.com: Ethereum could overtake Bitcoin by end of 2020. Andrew Keys, Co-founder, ConsenSys Capital: Price of ether will exceed $2,000 in 2018. Investing Haven: Ether will reach $1000. We explain in a simple way to the normal investor who wants to buy ethereum they know what exact reality behind this project. Ethereum is designed as a platform. In which different project comes on ethereum platform, run their project successfully. Mainly in ICO phases. One of the main reason why ethereum fall in 2018 was more than 80% of ICO fails to reach their expectations. Once ICO fails they quit & removed their funding by selling ethereum. Some project has done tremendous work on the ethereum platform but after establishing their project they develop own platform like TRON. Ethereum is second generation blockchain. Now some project comes with third generation blockchain protocol like Cardano who CEO previously worked at Ethereum project. A few days back one news published in a site that current CEO of ethereum will leave ethereum project, maybe this fud news. Transaction fees are more as compare to other platforms & ethereum transaction take more time. Ethereum is traded around $210. if you have little knowledge in crypto field then you know people shifted from this project. No dought that ethereum will touch 500$ or maybe 1000$ but we think it is not a good project for the long term. Ethereum needs to upgrade their system & develop something new to attract their investors.